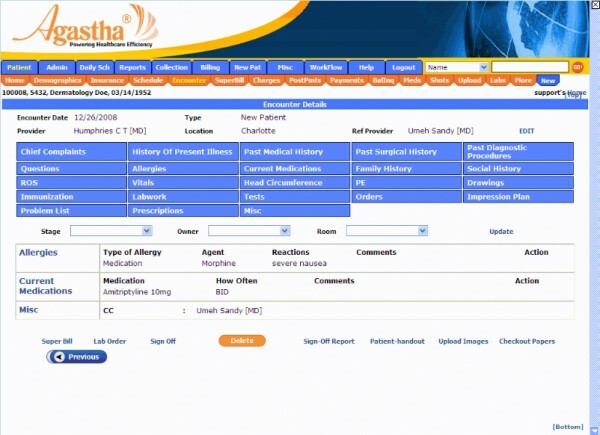 Agastha EHR is a quality Health IT solution designed for medical practices of all sizes and specialties. It offers both cloud-based and on-premise deployment and is an excellent software for healthcare practices operating in multiple locations. 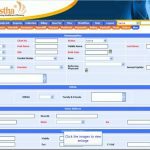 The system is secure and complies with all the required security standards. 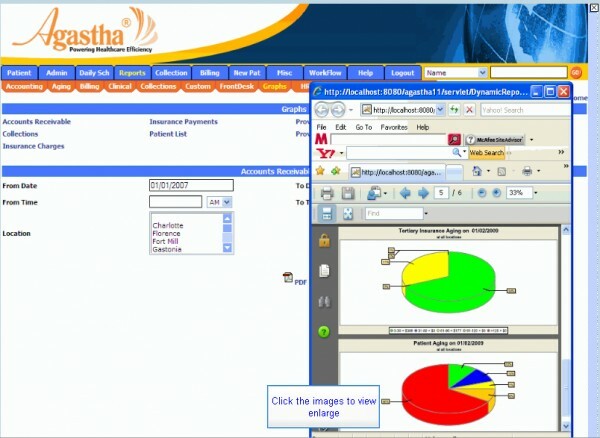 Agastha EHR also secured a respectable rank in the Medical Economics’ list of the Top 100 EHR vendors released in 2013. The system can also integrate with several clearinghouses, pharmacies, and diagnostic labs. 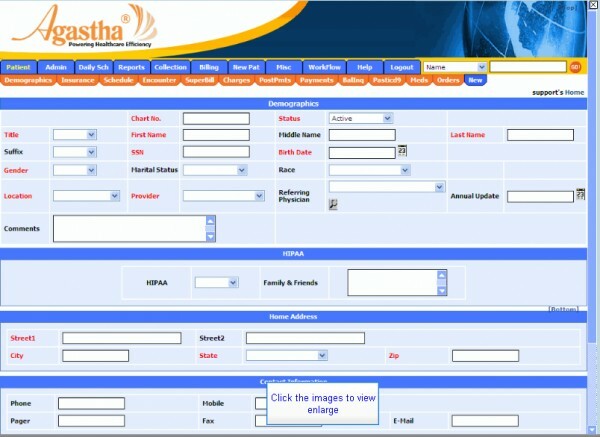 Agastha EHR further includes specialty-specific templates which are customizable and can adapt to any kind of workflow. 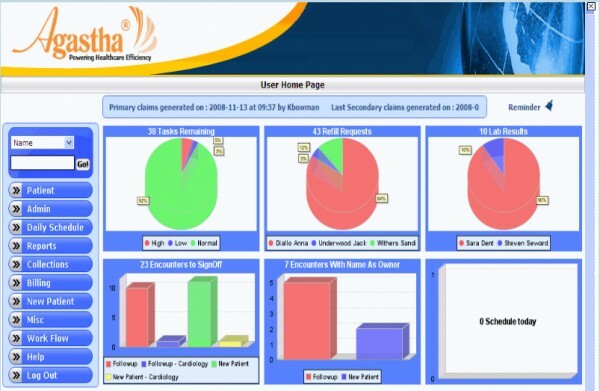 The system also offers an integrated document management tool. 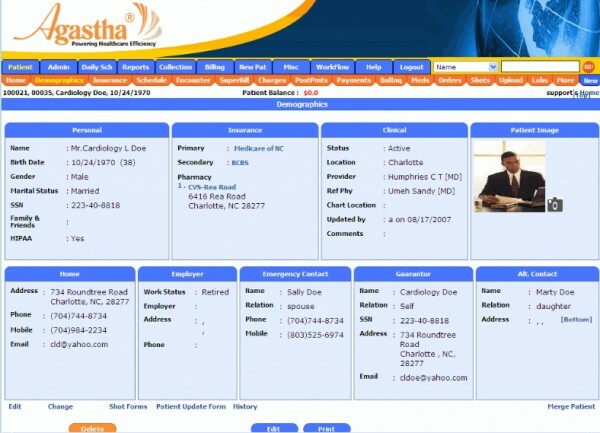 Agastha EHR can easily be integrated with this vendor’s e-prescription, practice management, and e-sign software systems. 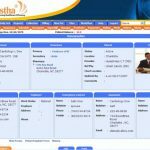 Agastha EHR compiles patient medical information from databases located across multiple practice locations and features access to all this information from a single screen. 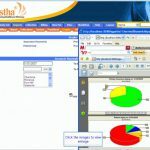 This Health IT solution also offers a voice recognition tool for data entry. 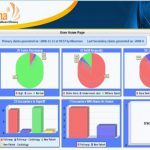 This allows clinicians to document patient interactions easily and develop automatic communication/reminders along with personalized patient assessments and plans. 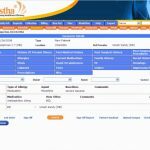 Agastha EHR is ONC-ACB certified in accordance with the appropriate certification criteria approved by the Secretary of the U.S. Department of Health and Human Services. This certification, however, is not an endorsement by the U.S. Department of Health and Human Services. The system is Meaningful Use Stage 2 Certified and meets all Meaningful Use requirements. If you are a medical practice looking for a quality Health IT solution designed for medical practices of all sizes and specialties, then this might just be the system you need!